As we were struggling with large servers and low storage limits, we decided that it was best to forward all this data to large data centers and call their cluster the cloud. It meant more storage, but also resulted into dependency on the internet to access our data. Then, we made connected devices, also known as Internet of Things (IoTs) that are connected to the cloud and constantly pull and push data into it. It allowed us to store large amounts of data and retrieve it efficiently. But there was one major issue – bandwidth. With a shortage of bandwidth, we could either increase the number of servers, which would be expensive or send only the most important data to the cloud in order to save bandwidth. Edge and fog computing help us achieve exactly that, and in this article, we will discuss how they do it and help IoT devices function better. Instead of completely depending on a cluster of clouds for computing and data storage, edge computing is able to provide intelligent services by leveraging local computing and local edge devices like routers, PCs, and smartphones. The biggest advantage of this all is, of course, shorter response time as the data is processed locally. While many might refer to edge computing as the work that happens at the very edge of the network where the cloud is connected to the physical world via an IoT device, it is much more than just data processing and computation. By using the processing power of IoT devices, edge computing applications are able to pre-process, filter, score, and aggregate IoT data. It also uses the flexibility of the cloud services to run complicated analysis on that data. With edge computing, the IoT data is collected and analyzed directly by controllers, sensors, and other connected devices, or the data is transmitted to a nearby computing device for analysis. While fog computing is similar to edge computing and they are often mistaken for each other, there is a slight difference between them. 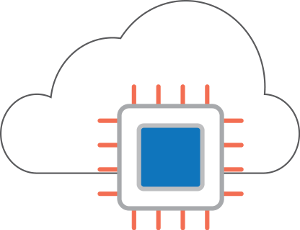 In fog computing, there is only one centralized computing device responsible for processing data from different endpoints in the networks. On the other hand, in edge computing, every network participates in processing data. Edge computing can help financial organizations identify and stop non-compliant transactions by setting up micro data centers that enable real-time analytics. Since the processing is faster, the non-compliant transactions are stopped more quickly leading to better results for the organization. Wind farms can also take advantage of edge computing. Since they are located in remote areas and getting information from the cloud quickly isn’t always possible, edge computing allows real-time analysis of data to modify the turbines in order to maintain efficient electricity output. Also read: How to prototype IoT? The oil and gas pipelines around the world generate terabytes of data over the course of years. By leveraging fog computing for oil pipelines, we can create fog computing nodes that transfer data to each other in a line and the cloud will only need to know about the high-level details which will, in turn, save bandwidth. Sensors are the devices on the edge that communicate with the cloud through the edge IoT gateway. For instance, an engine sensor may be emitting temperature status reports every second which may not be useful for a cloud based analytical application that processes the temperature reports after every minute. So, instead, the edge IoT gateway can store the information from the sensor and send it after every minute. Also read: How to do IoT hardware product development? How does fog computing work? Fog computing is responsible for analyzing the most time sensitive data sent by the internet of things. Essentially, the fog nodes that are closest to the sensors look for problems or signs and then prevent them from sending signals to the actuators. Fog nodes also send data periodically to the cloud for storage. By effectively using local data and only sending selective data to the cloud fog computing is able to save bandwidth. Edge computing exclusively performs analytics either close to the network’s edge or at the devices that are on edge. On the other hand, fog computing can perform analytics on any part of the network, right from the center to the edge. IoT devices: These are the connected devices that send large volumes of data to the fog network and eventually the cloud. Fog network: It is responsible for receiving data from the IoT devices in real-time, using any protocol. Then the fog nodes run IoT enabled applications for real-time analysis and their response time is often a millisecond. Cloud: The cloud receives and puts together the periodic data summaries sent by the different fog nodes. It also performs analysis on the data to gather business insights and then sends new application rules based on those insights to the fog nodes. As we have mentioned, edge computing means processing data as close to the network as possible. All the data generation, analytics, and taking action is done on edge only. The edge things can be sensors, actuators, and smart devices. 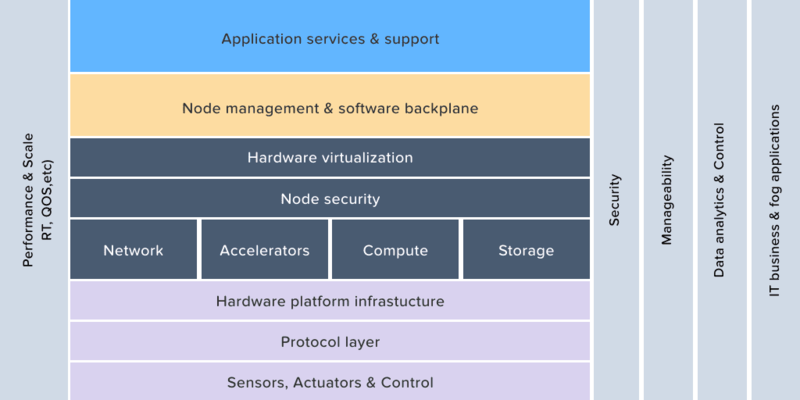 The main responsibility of the IoT gateway is to connect the edge things with the cloud. That is why it must be able to understand both the field protocols and cloud protocols. It also stores peripheral data and then sends periodic data to the cloud. The cloud takes the periodic data from the gateway, analysis it and then sends instructions back to the gateway. Since edge computing already can take real-time decisions, we can add deep learning architecture on the edge to improve the quality of decision making. For instance, by introducing deep learning algorithms like convolutional neural network, it becomes possible for ATM cameras to automatically detect if someone is trying to access an ATM wearing a helmet or cap. Instead of relying on the cloud for processing, real-time processing can be done on the edge decreasing latency issues, cost, bandwidth, and problems related to limited connectivity. With edge analytics, it becomes possible to collect and analyze data by performing automated analytical computations at the edge/ source instead of sending data to the cloud and waiting for the results. The analytics can be done on any device like a switch, gateway, router, or a server. By analyzing the data at the edge right when it’s generated, it easy to respond to emerging conditions faster. Not to mention, the burden of moving large amounts of data over the network also decreases. With edge analytics, it’s easy to apply rich set of analytics even at a small scale, and it’s flexible enough to scale up and still maintain seamless operations. The next big thing to revolutionize edge and fog networks would be locally present agents. These agents will be driven by Artificial intelligence, making sure the system dynamics are optimized and the impact of industrial automation is maximized. From autonomous monitoring of power consumption to building safety criticality within hardware ecosystems, Agents will revolutionize everything that we know so far about our world. Edge computing has a high opportunity for these agents to become more and more ubiquitous, as the agents won’t have to rely on bulky or even need a remote cloud infrastructure to operate. To many industry practitioners that we speak to, used to be baffled by the idea of taking a network offline citing SAP’s move to Cloud in the early 2016. But, SAP itself now acquired an edge IoT platform company, while others like Microsoft and Amazon launched their own IoT Edge platforms as well. We have been extensively working with IoT edge solutions for some time now. Subscribe to our blog to get future updates on our work. Previous PostPrevious How to improve your mobile app’s performance? Get our Insights on operational IoT and Edge Computing straight to your Inbox.